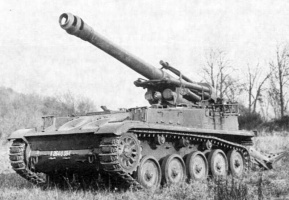 The AMX 13 F3 AM is a French tier 6 self-propelled gun. At the end of the 1950s, engineers of Creusot-Loire developed the new vehicle on the shortened basis of the AMX 13. 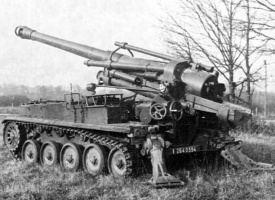 The vehicle featured a 155-mm gun. It was mass-produced from 1962 through 1997 with a total of 600 vehicles manufactured. 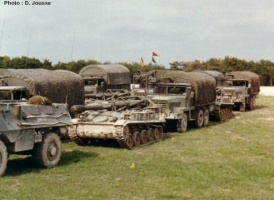 The SPG is still in service in France, Argentina, Chile, Ecuador, Morocco, and other countries. The AMX 13 F3 AM leads to the Lorraine 155 mle. 50. The Amx 13 F3 AM is one of the most mobile tier 6 SPGs, having a good acceleration and top speed. 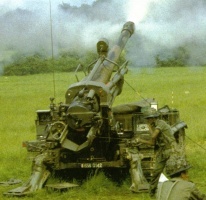 To add to this, the camouflage values of this artillery are very good thanks to its small size and low profile. 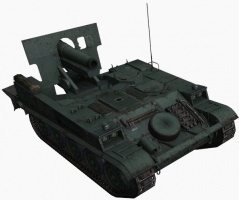 These attributes make the AMX 13 a stealthy, easy-to-relocate SPG that can utilize its mobility to move to better firing lines quickly to get shots on tanks that think they are safe. 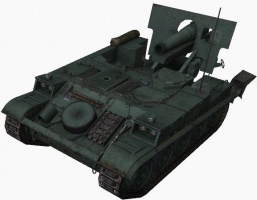 This, combined with the highest alpha damage in tier/class of 700 damage on its HE round, makes it a threat to any tank it faces and can one-shot many lower-tier and a few same-tier tanks if the shell manages to penetrate. 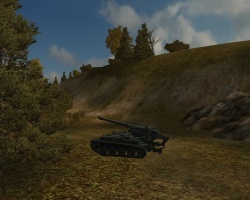 Despite a long aim time and the longest reload at Tier 6, the AMX 13's fully-aimed accuracy remains quite good due to low dispersion and a relatively high shell velocity — you shouldn't have many problems hitting your targets. The asymmetrical gun arc has a bit of a learning curve but for normal use, the angle that you are given to shoot from is quite generous and there is a fair margin for turning the gun without having to turn the hull. Make sure you're always angling your SPG to the left a bit, as this will maximize the use of your gun arc. Unfortunately, despite its good accuracy and wide gun arc, it performs very poorly as a shotgunner. Its high bloom and lack of gun depression make shotgunning tanks tricky, relegating it to ambush tactics and relying on its first (and only) shot to kill the enemy. Position on the downslope of a hill to allow your gun to point farther down and increase your chances of a hit. 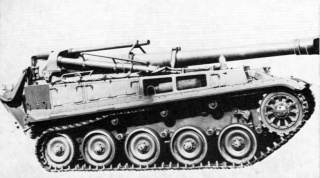 The Baudouin 6F 11 SRY Engine and SCR 528F Radio carry over from the AMX 13 105 AM mle. 50. Mount them immediately. Next, research the AMX 13 F3 AM bis Suspension. 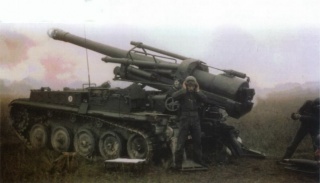 Finally, research the Canon de 155 mm de 33 calibres Gun. 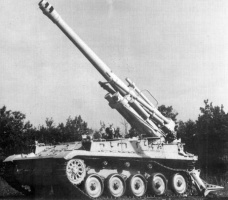 AMX 13 F3 AM or Canon de 155 mm Mle F3 Automoteur (Cn-155-F3-Am) was a 155 mm SPG developed in the early 1950s by the French Army to replace their aging American M41 Gorilla 155mm self-propelled guns. The Mk F3 is the smallest and lightest 155 mm motorized gun carriage ever produced. Due to its size and low cost, it has found considerable success in the export market. Constructed on a modified AMX-13 light tank chassis, the Mk F3 is novel, incorporating room inside for only two of the eight required crewmen (the others riding in support vehicles). 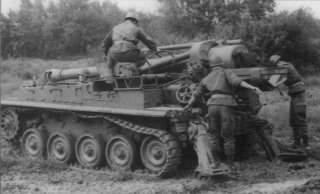 This allowed the 155 mm gun to be placed on a smaller and more mobile chassis than that employed by other armies, but also exposed the crew members to arms fire and splinters. 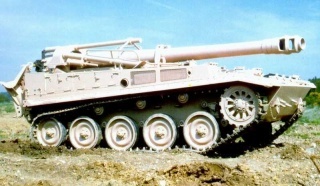 In the early 1950s the French Army desired to replace their aging American M41 howitzers with an indigenous design, based on the AMX-13 light tank chassis. The result of these efforts was the Mk. F3 that entered production in the early 1960s. Its low cost and light weight made it a very popular weapon system on the export market. 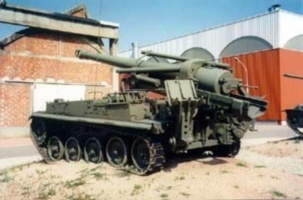 It was exported to a number of South American and Middle Eastern countries, and remained in production until the early 1980s, long after the French Army had themselves converted to the fully enclosed GCT 155mm self-propelled artillery system. 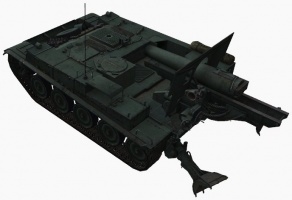 The Mk F3 is essentially a modified AMX-13 light tank chassis with the rear idler removed and the hull modified to accept a 155 mm cannon and its recoil, elevating and traversing mechanisms, including two rear spades which reversed into the ground to give added stability when firing. 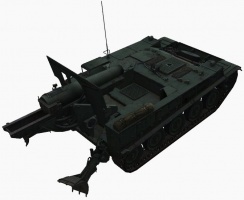 The 155 mm gun was designed by the Atelier de Construction de Tarbes (ATS), and the chassis by the Atelier de Construction Roanne (ARE). 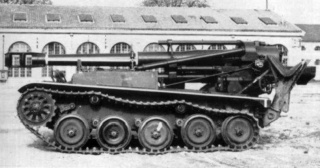 Integration of the gun with the chassis and all firing trials were undertaken by the Etablissement d'Etudes et de Fabrications d'Armement de Bourges (EFAB). 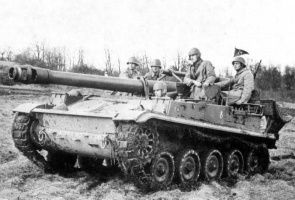 Because the ARE was tooling up for production of the AMX-30 main battle tank, production of the whole AMX-13 tank family, including the F3 155 mm self-propelled gun, was transferred to Mécanique Creusot-Loire. The F3 fired the standard 155 mm high-explosive projectile and is also capable of firing the smoke, illumination and rocket-assisted rounds. The effective range is 20,050 m with 43.75 kg HE rounds. The hull of the Mk F3 is of all-welded steel armor measuring 10 to 20 mm, providing the two occupants with protection from small arms fire and shell splinters. The layout is conventional, with the driver's compartment at the front on the left, engine compartment to the right and the 155 mm gun above at the rear. A splashboard is mounted at the front of the hull to stop water from rushing up the glacis plate when the vehicle is fording streams. A replacement road wheel is often carried on the glacis plate. 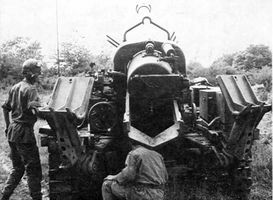 The driver has a single-piece hatch that opens to the left and is provided with three daylight periscopes, the center one of which is replaceable by an image intensification (or thermal) periscope for night driving. The commander is seated behind the driver and has a two-piece hatch that opens to either side. The commander is also provided with three daylight periscopes. The torsion bar suspension consists of five single rubber-tyred road wheels with the drive sprocket at the front and the fifth roadwheel acting as the idler. There are three track-return rollers. The first and last road wheel stations have hydraulic shock-absorbers. The steel tracks can be fitted with rubber pads if required. Stowage containers are provided along each side of the upper part of the hull. Standard equipment includes a loudspeaker and a cable reel with 400 m of cable. Weaknesses to the Mk F3 design included a lack of nuclear-biological-chemical (NBC) protection for its crew. It also could accommodate only two of the eight crew members needed to operate the weapons system. 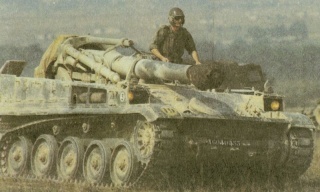 The remaining six crew members and 25 rounds of ammunition travel in support vehicles, normally AMX-VCIs. If necessary, the additional crew members can travel on the upper deck of the vehicle, but in all cases, the crew members must remain outside the vehicle and exposed to arms fire. A total of around 600 vehicles was produced until the late eightees, with the last 10 units delivered to Morocco as late as 1997. Besides the French army, the system was widely exported and used by the armies of Argentina, Chile, Ecuador, Morocco, Saudi Arabia, Peru, Venezuela, and Qatar. This page was last modified on 12 August 2018, at 12:42.